Bikes donated by Merseyside Police have been recycled by college students ready for a charity adventure through Africa. 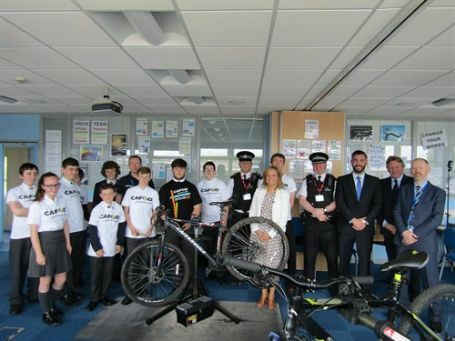 The bikes have been fixed up and made race ready by students at Bootle's Savio Salesian College to be used to raise awareness and funds for the Catholic Agency for Overseas Development (CAFOD) and Medaille Trust projects. On August 4, riders from the UK and Kenya will form Team Tanken 2016 to ride more than 200 miles, from Tanzania to Kenya. The team consists of six riders, including Savio Salesian College teacher James Dennis, the CAFOD representative in Merseyside Stephen Burrowes and Joseph Kamau, Director of Caritas Kitui in Kenya.